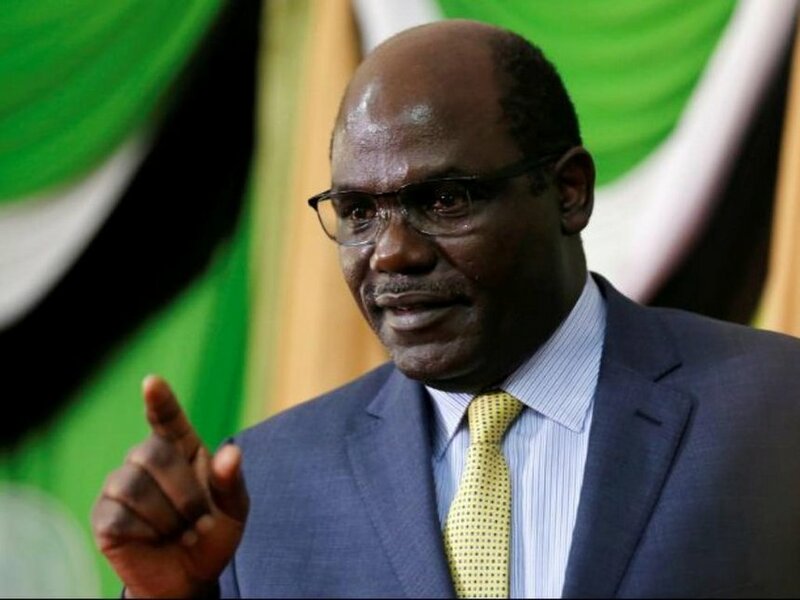 IEBC Chairman Chebukati failed to conduct the dialogue between the candidates, Uhuru vowed not to attend. #IEBC - Bana Kenya News, Real African Network Tubanane. IEBC Chairman has postponed the dialogue between Raila Odinga and Uhuru Kenyatta after the President canceled subverted the Meeting and went to a rally. The President has expressed his concerns that he will not be in the dialogue because the Raila Odinga wants to power through the back door. DP William Ruto has continuously attacked the IEBC that if they are tired of their work to vacate the office and letting the elections to continue as planned. "Today's 2.30pm meeting with presidential candidates has regrettably been rescheduled. We will update," IEBC said via Twitter on Thursday. The commission said they will set a new date after reaching an agreement with all parties. Jubilee Party leader Uhuru Kenyatta and NASA's Raila Odinga are among the candidates who were supposed to meet the electoral agency's chairman Wafula Chebukati to dialogue ahead of the October 26 vote. On Wednesday, the chair invited all the seven presidential candidates and their running mates to an urgent meeting. Others are Thirdway Alliance's Ekuru Aukot, Japheth Kaluyu, Michael Wainaina, Abduba Dida and Joe Nyagah. The chair had on Wednesday said the meeting, which concerns issues bordering on the fresh October 26 election, will start at 2.30 pm. The other candidates will have their own date where they will plan on the way forward after court give them a leeway to go back to the polls. IEBC Chairman has been in a crossroad as the two political giants shaken his body through commissioners infiltration. The commissioners have failed to be neutral and they had held the country hostage.